Nuratau Mountains are home to many ancient villages and the settlements. There are three main ethnic groups Uzbeks, Tajiks and Kazakhs that populate Nuratau Mountains and Kyzyl-Kum steppe. Being the biggest community in the area, Uzbeks arrived to the area in the 13th century from the north of the present Kazakhstan. Second biggest ethnic group, Tajiks have more ancient settlement history dating back to the time of Alexander the Greats reign in Central Asia. Third small ethnic group Kazaks before settling in the beginning of the 20th century were living nomadicly in the yurts and moving permanently from place to place in Kyzyl-Kum desert. For many centuries, some of the caravan routes between Bukhara and (Choch) Tashkent passed the Nuratau region. The trade route was used until the 19th century. During the long, hard and dangerous trips, fortresses and wells situated in the Nuratau Mountain valleys and the Kyzylkum plains were used as stop over points by the traders. 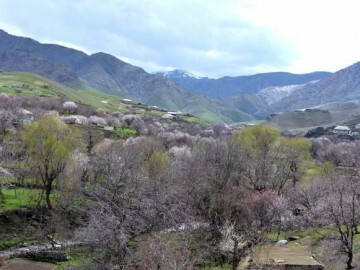 Present development of ecotourism is concentrated in villages of Eski Forish, Asraf, Uhum, Hayat and Sentyab inhabited with ethnic Tajik people. Eski Forish village has 1110 inhabitants. The village has a health post with a nurse and the secondary school. In the village, there are three small shops and a few home vendors, where basic groceries as well as biscuits, sweets, mineral water, beer, wine and cigarettes can be obtained. All the houses in the village are connected to the electricity network. The name Eski Forish means old Forish. Eski Forish is called Porasht in Tajik language. The word Porasht has its roots in the Sogdian language and means “place surrounding a fortress”. 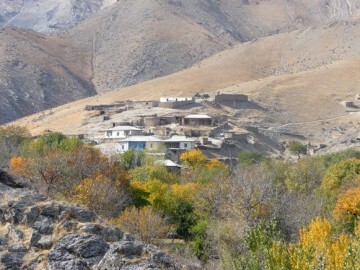 The ancient village of Porasht was situated higher up in the valley. The ruins of houses, mosques and ancient mills can still be seen. The old village has been abandoned in the 17th century. In the 16th century, the surroundings of present day Eski Forish were covered by reeds. Passing the area, the Khan of Bukhara, Sheybonid Abdullah, was attracted by the place and chose to rest here with his troops and finally established a village (1558-1598). 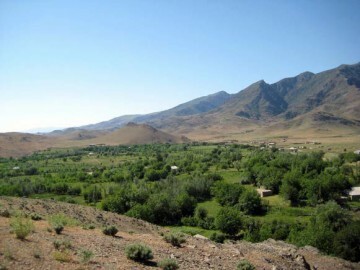 The local people, who lived higher up in the valley (Qishloqi), moved down to the new settlement and mixed with the new settlers from Bukhara (Qorovulbegi). In the vicinity of the village there are two ancient look out points (Abdullakhan and Sultontepa ) from where approaching enemies could be spotted. The ruins of three old mosques (Mullodehkon, Arabboy and Merganboy) have been found in the Eski Forish area. Not far from the village, there is an ancient petroglyph site. 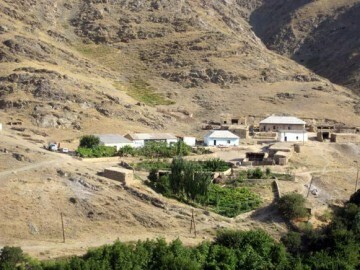 Asraf is a very small village located between Eski Forish and Uhum. There are 18 families living in the village at the present. It has its own small elementary school. After fourth grade children have to go to school in the village of Uhum. Asraf is located very close to the Nuratau Nature Reserve, which unfortunately is not accessible to the public, but there are good hiking paths at the edges of the reserve. In the village there are two rivers the Arsaf and the Xushrud, which are fed by two springs the Chashmai Azizmurod and the Chashmai Abdulloi Naymon. Like all the villages along the Nuratau mountain range, Asraf has a long history. Ancient rock paintings in the mountains prove that people have lived here for more than two thousand years. Elements of Sogd language can still be found in the Tajik spoken today. This witnesses that in the 4th century BC, Sogds, who originated from the Zarafshan and Istrafshan valleys, settled in the Nuratau Mountains to escape from the troops of Alexander the Great. Until today many of the customs practiced here are more closely related to the ones in the Zarafshan area than the ones of the Samarkand and Bukhara Tajiks. The customs of people in Asraf used to differ slightly from neighboring villages. During weddings for example, various activities like Kupkari were organized. Till the 1960s, the wedding celebration lasted 6-10 days. Uhum village has two schools and a new technical collage built in 2009. There are several small shops where basic groceries as well as biscuits, sweets, mineral water, beer, wine and cigarettes can be obtained. On Sunday, a village bazaar is held, where vendors from the region offer their products. Uhum has a health post with a doctor and a nurse. There are seven cemeteries in Uhum, some of them are ancient. In the village there are five electric and three water driven mills for grinding grain. Uhum has a hair dresser near the bus station. In the Uhum valley, there is no mobile phone reception. All the houses in Uhum connected to electricity network. Uhum is one of the biggest villages in the Nuratau Mountains. The valley stretches out for 15 km. The name Uhum originates from the Sogdian word Axm, which means « fearless warrior». On the way to Uhum, you pass two small settlements: Sirtikon, which means “near the mine” and Mula, which means “remote place”. These villages have only developed recently. However, in Sirtikon, remnants of an old copper mine, dating back to Mongolian times have been found. Entering Uhum village you can see the remains of a stone wall, called “Shaxi Ali”, which defended the village from attacks of the nomads from the Kyzylkum steppe. The exact date when it was built is not known. In the village Uhum there are five ancient mosques and seven old cemeteries (Chilgazato, Guji G’ozi, Xazrati Bibi, Shoxidon, Azizon, Xisorato, Xazrati Eshonbobo). Other interesting historical sites are the ruins of the ancient Xonkeldi fortress in Uhum and the ruins of Korg’on fortress in Upper Uhum and a small petroglyphs site. Uhum was one of the villages of the Bukhara Emirate. When the Russian empire conquered Bukhara, also Uhum was overpowered by the troops of the Russian commander Abramov in December 1867. 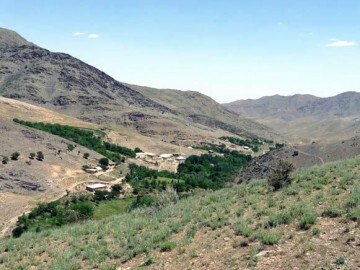 It has never been easy to survive on the sparse resources of Uhum valley. Hence, the resident population used to subdue the neighboring villages in order to increase their livestock and acquire other goods. Uhum used to be a larger village in the past. In the 1950th the Soviet Government moved 608 families to other regions (Jizzakh, Kazakhstan, Sirdarya) where laborers were needed in the cotton fields. This is why you will see a lot of abandoned houses in Uhum. Hayat has 650 inhabitants. The village has an elementary school. A new technical college was built down in the valley in Uhum in 2009. There is a shop where basic groceries as well as biscuits, sweets, mineral water, beer, wine and cigarettes can be obtained. The village has its own cemetery. In the village, there are mills for grinding grain. There are several legends about how the village came into being. According to one of them, there was a long lasting drought in the area. In search for water, a farmer came to the valley and saw fog and clouds and concluded that there must be water in the area. He told other villagers and they decided that this must be a good place to settle. Hence, they moved there and named the village Hoyat, which means life. Another legend says that during a severe drought all springs and wells in the neighboring villages dried up, but the spring in Hayat still produced water. That is why people called it spring of life (hoyat). In Hayat village there was a fortress called Shaxi Korgon that was located on a hill making it difficult for enemies to conquer. 10-15 people could defend it against 500 enemies. The ruins of the fortress can be visited. In the 1950s the Soviet Government moved sixty families from Hayat to the cotton growing areas. That is why you see many abandoned houses in the village. Sentyab village has two secondary schools and a health post with a doctor and a nurse. There are five small shops where basic groceries as well as biscuits, sweets, mineral water, soft drinks, beer, wine and cigarettes can be obtained. Near the minibus stop there is a hair dresser. There are three water mills and one electric mill for grinding grain. Only in some parts of the village, there is cellphone reception. All the houses in Sentyab are connected to the electricity network. Like other villages along the Nuratau mountain range, Sentyab has a long history. Sentyab is the biggest and most ancient among other villages of Nuratau Mountain range. There are many legends about the origin of the name of the village. One day, when a caravan passed the village, the soldiers asked a local shepherd about the name of the place. The shepherd answered “Sen top”, which means “guess yourself” in Uzbek. Since then people called the village Sentob or Sentyab. Another legend says that the original name of the village was “Simtob”, which means “shining like silver” in the local language. The water of the springs and rivers in the village looks like silver, when it reflects in the sun. Same as in other villages 1950s Soviet Government forced local people to cotton grooving areas that is why you will see many abandoned houses in the village. Nuratau Mountains are home to many ancient villages and the settlements. There are three main ethnic groups Uzbeks, Tajiks and Kazakhs that populate Nuratau Mountains and Kyzyl-Kum steppe. Being the biggest community in the area, Uzbeks arrived to the area in the 13th century from the north of the present Kazakhstan. Second biggest ethnic group, Tajiks have more ancient settlement history dating back to the time of Alexander the Greats reign in Central Asia. Third small ethnic group Kazaks before settling in the beginning of the 20th century were living in nomadic lifestyle and moving permanently from place to place in Kyzyl-Kum desert.